It’s often said that the real power in an administrative office lies in the person who commands the front desk. 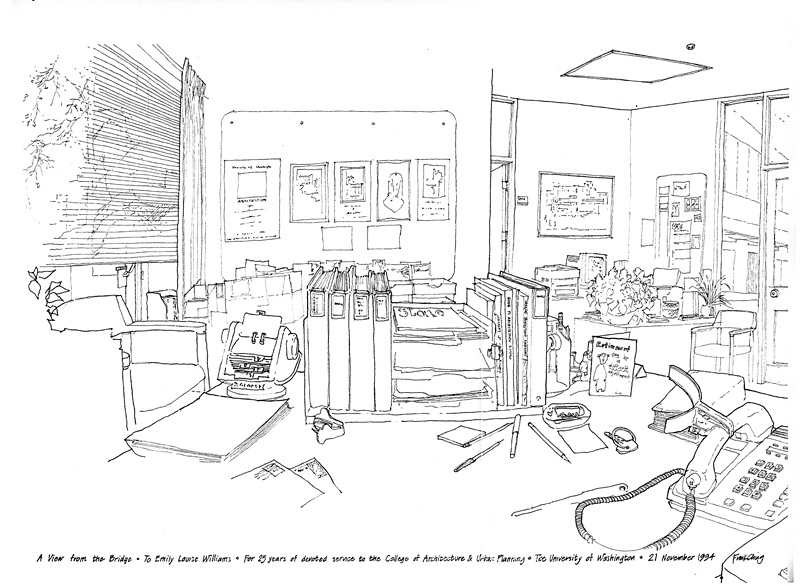 This is a view from such a desk, drawn as a retirement gift for Emily Louise Williams back in 1994 when she retired after 25 years of devoted service to the College of Architecture and Urban Planning (now the College of Built Environments) at the University of Washington. I still remember sneaking into the college office to do the drawing while Emily was taking her lunch break. This entry was posted in Drawing by FC_admin. Bookmark the permalink.